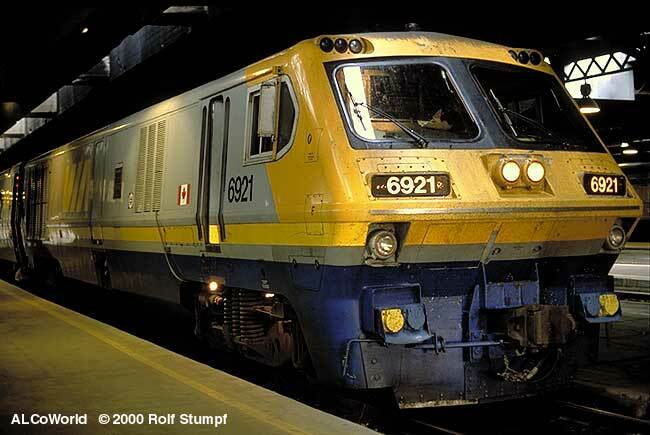 The LRC-2 locomotives of VIA were in 2000 the prime power for Canadian passenger trains if one looked at the VIA ads and brochures. 6921 at Toronto Union station at 6:45 am on June 1st, 2000 waiting for the 7:00 am departure of train 52 to Montréal. The idling noise (mp3 @ 78 k) of the 16-251F is downright deafening. The days of the LRCs were over in 2001. 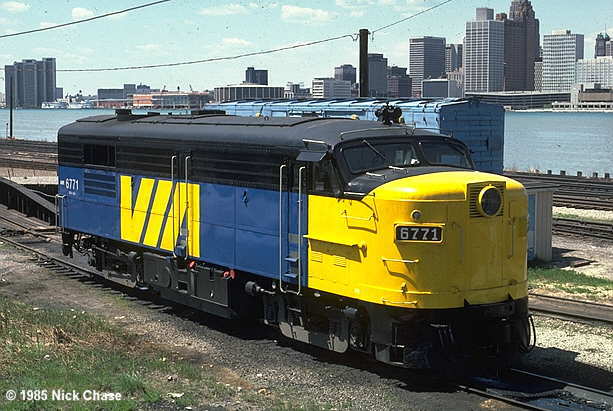 VIA has received 21 GE P42-DC that also replaced the remaining seven LRC units. 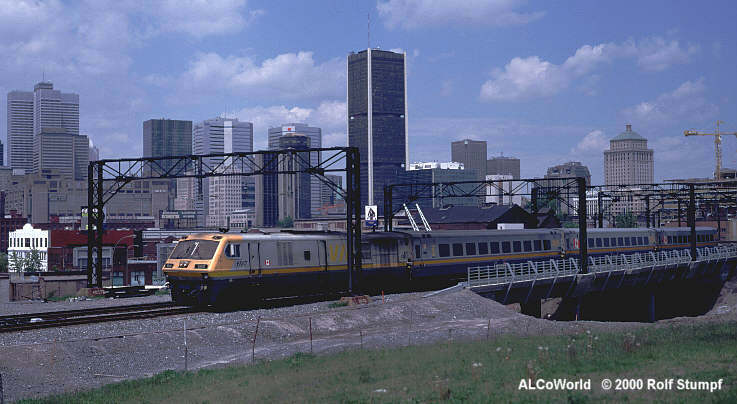 VIA's F40 could appear on those workings as did occur on the 1600 Quebec train on June 1st 2000. Otherwise appeared an LRC unit on a train to Ottawa as experienced by Alun Williams in May 2000. LRC 6917 leaves Montréal with train 22 to Québec on time, June 1st, 2000. The same train's lead unit is a side view. Those were the times when the classic FPA4 was all over VIA's passenger network. 6771 basks in the sun at Windsor, Ont., 1985. 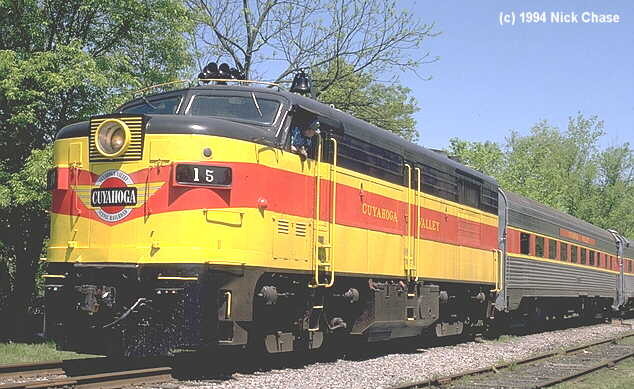 The unit is now Cuyahoga Valley Scenic RR no. 15 and operating from Independence, Ohio.